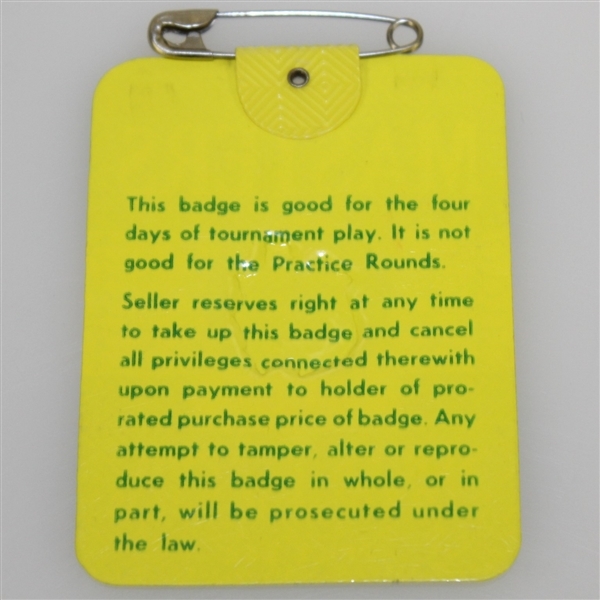 Offered here for bidders is Masters Tournament series badge #25552 from the 1980 tournament. The badge comes in great condition with the original pin intact. 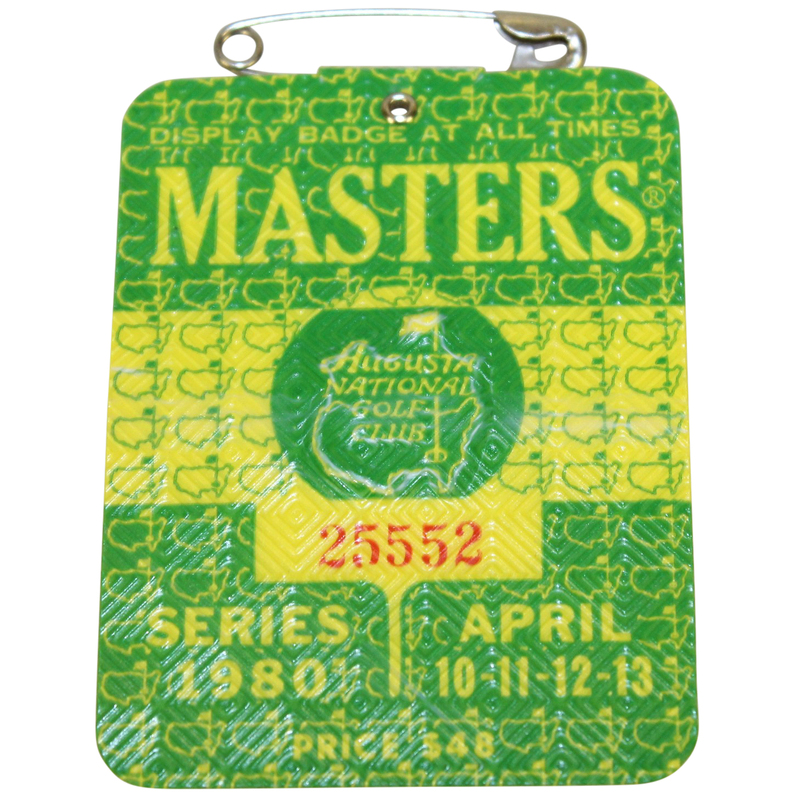 Seve Ballesteros, at 23, won his first Masters and second Major championship title in 1980, four strokes ahead of runners-up Jack Newton and Gibby Gilbert.